Samsung has unbundled yet another native app and listed it on the Google Play Store. 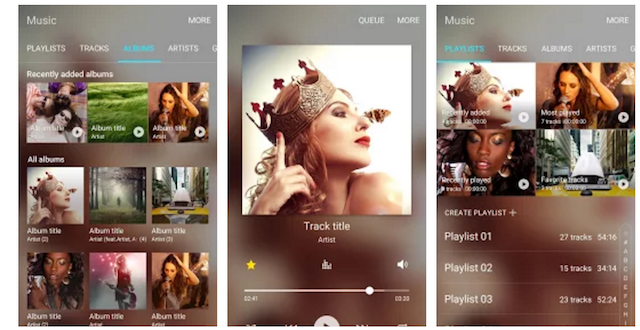 Samsung’s Music app is now available from the Play Store in beta. This makes it easier for the company to roll out updates to individual apps without having to push new software updates. It’s like any other music app aside from the fact that it’s “optimized” for Samsung’s Android devices, and its arrival comes after the launch of the Galaxy S7 and Galaxy S7 edge, which don’t feature the company’s proprietary music player out of the box. The app supports playback for multiple sound formats like MP3, FLAC, AAC and WMA. It allows users to sort song lists by categories which include Genre, Folder, Composer, Album, Track and Artist. The user interface feels familiar and is in line with Samsung’s design aesthetic. The changelog mentions that this is a “beta test version,” which means that updates are going to arrive in the near future. It’s only compatible with devices running Android 6.0 Marshmallow. If you happen to have one you can download Samsung Music from the Google Play Store for free.